Wrapping food in aluminium foil and putting small packages amongst hot coals will lead to success, and is fast. Use a grill over hot coals for grilling a range of marinated vegetables and meats; this will also yield a tasty meal. Measuring out food portions before going on your trip will minimise the work once you are outdoors, even pre-cook a dish so you just need to warm it up in the coals. 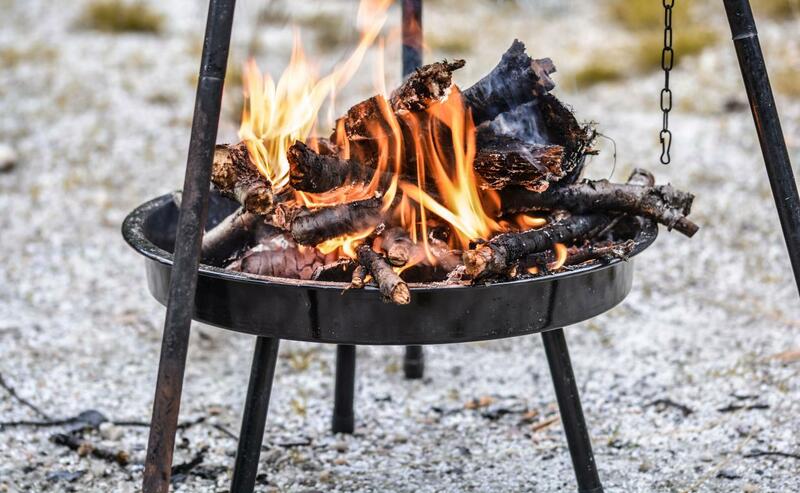 Managing your fire is essential for cooking while camping; this ensures you get the perfect all round temperature needed. Have a go and explore some ideas, just remember that meat must be cooked thoroughly. If you are going ‘outback’, do ensure you have done your planning and food organisation, and that you are clear on what your DIY camping kitchen system requires – no shops around the corner for anything you forget.